Take in views from the Little Rocky Mountains or marvel at the intricate and beautiful life of the prairie by taking to the landscape on your two feet. Hiking is a wonderful, life-long activity for outdoor enthusiasts of all ages. 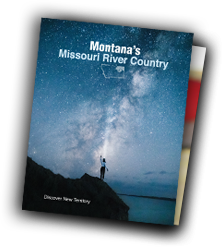 Whether you prefer to hit the trails for a day-long adventure or venture on shorter hikes in between scenic drives or community explorations, Missouri River Country has a trail for you.